Late summer of 1862: Robert E. Lee and the Confederate Army of Northern Virginia looking to sustain the initiative gained in their recent victories in the Seven Days battles around Richmond advances north in a new offensive toward the nation’s capitol. The Confederate commander knew half of President Lincoln’s army were still licking their wounds on the Virginia peninsula after the Union Army’s grueling and costly withdrawal after the Seven Days battles. The other half of Lincoln’s army led by Maj. General John Pope looked to head off this new threat to the nation’s capitol. Pope marched his 62,000 Union troops out through the Washington defenses and began heading west. The two hostile armies collided 30 miles west of Washington on familiar ground. Just one year earlier this small town became famous/infamous for being the site of the first big battle of the Civil War. 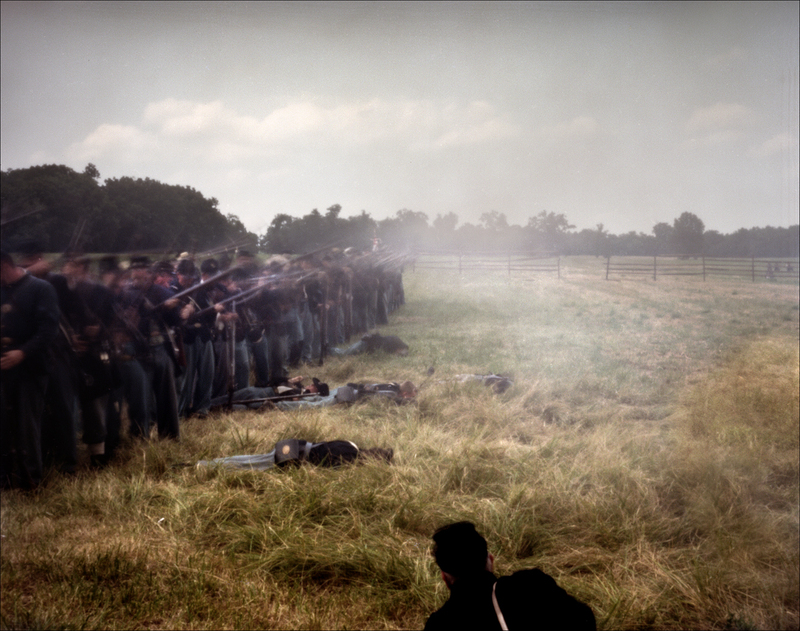 The town of Manassas, Virginia once again became a battleground as both armies desperately sought a decisive victory that would bring to an end this ever-expanding war. The Second Battle of Manassas, or Second Bull Run, wound up being ten times more costly to the armies than their last meeting there. Considered a Confederate victory, the Union Army’s fighting retreat and eventual escape from Manassas meant Lee’s chance to destroy half of Lincoln’s army had slipped away ensuring the war would continue…..
My first stop: Thoroughfare Gap. Situated in the Bull Run Mountains, west of Manassas, the mountain gap has been a route for travelers through the ages. In August of 1862 Stonewall Jackson and General James Longstreet fought their troops through this gap on their way to Manassas. 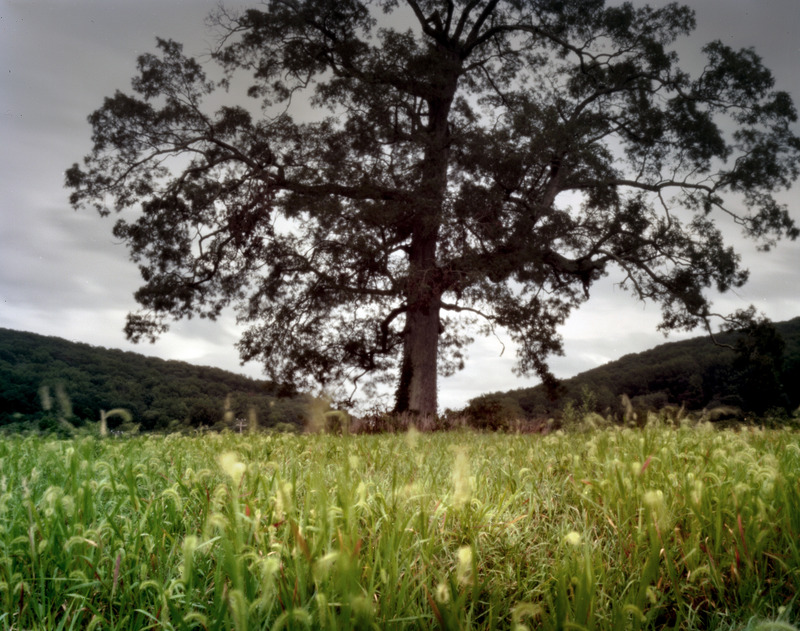 The old oak tree overlooking the gap today is said to be the site Robert E. Lee and General James Longstreet stopped to survey the fighting as Confederate forces fought their way through the cleave in the mountains here. Making my way east, through the gap, my next stop was the Brawner Farm and the adjacent Deep Cut on the Manassas Battlefield. The Deep Cut served as a strong Confederate fighting position during the battle. 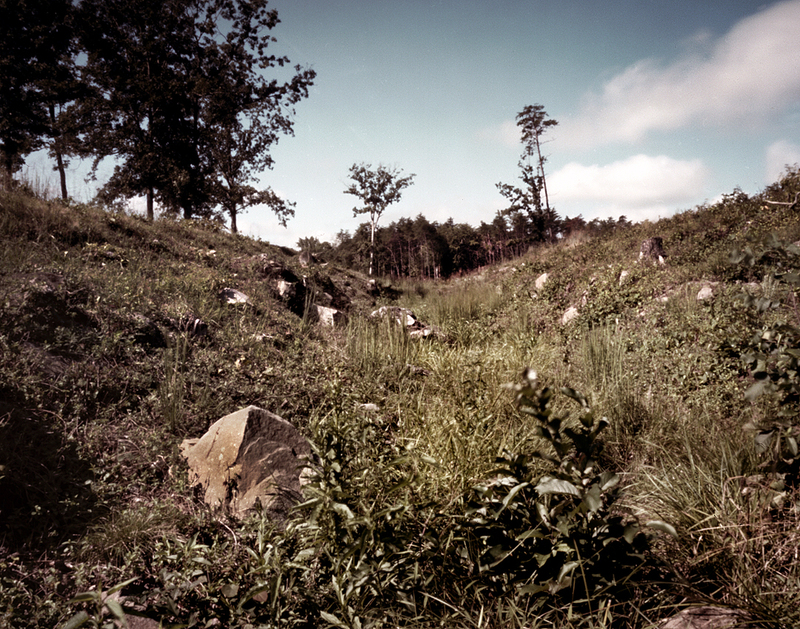 Stonewall Jackson’s troops took up positions along this unfinished railroad cut and managed to hold back continuous Union assaults during the Second Manassas battle. The cut is clearly visible today and it’s easy to see how the Confederate forces were able to hold back repeated Union assaults. Stonewall Jackson’s troops had cleared all fields of fire meaning the approaches to the Deep Cut were cleared of trees and bushes giving them an unimpeded view on any approaching Union troops. This section of the Battlefield, aside from the overgrowth in the Deep Cut, looks much the same as it did in the 1860s. Facing the Deep Cut an old sign marking the spot and the exploits of a regiment of Wisconsin sharpshooters during the Battle of 2nd Manassas. I conducted explorations of the Brawner Farm, Battery Heights, Matthews Hill, Buck Hill and the famous Stone House at the intersection of Lee’s Highway and Sudley Road. 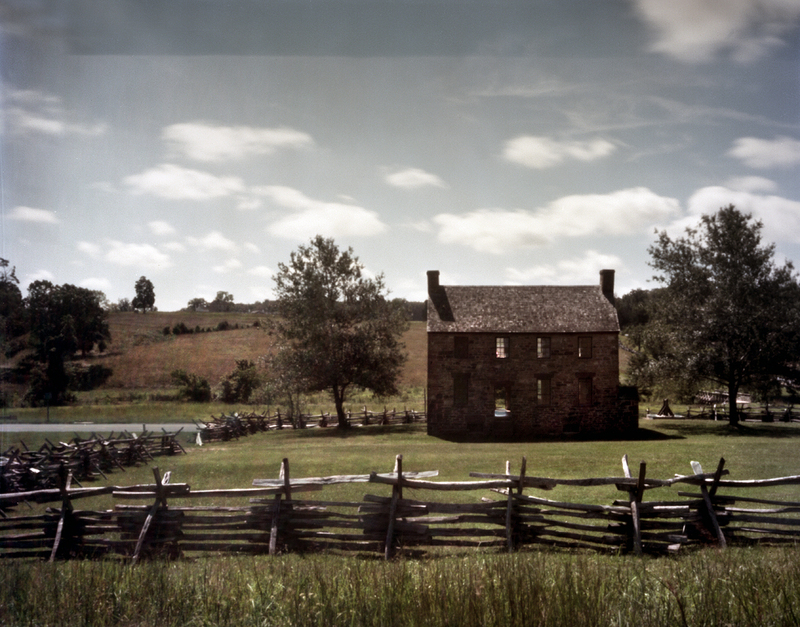 The Stone House sits at one of the focal points of both 1st and 2nd battles at Manassas serving as both headquarters and hospital. 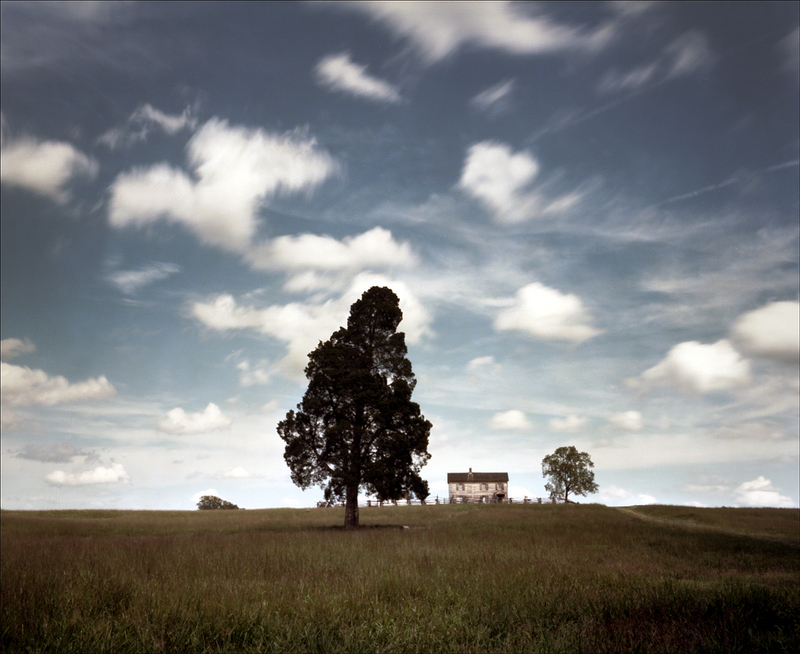 The sprawling countryside at Manassas is perfect for arraying large numbers of troops. The cultivated fields and undulating hills provide drastic views today as they did 150 years ago. 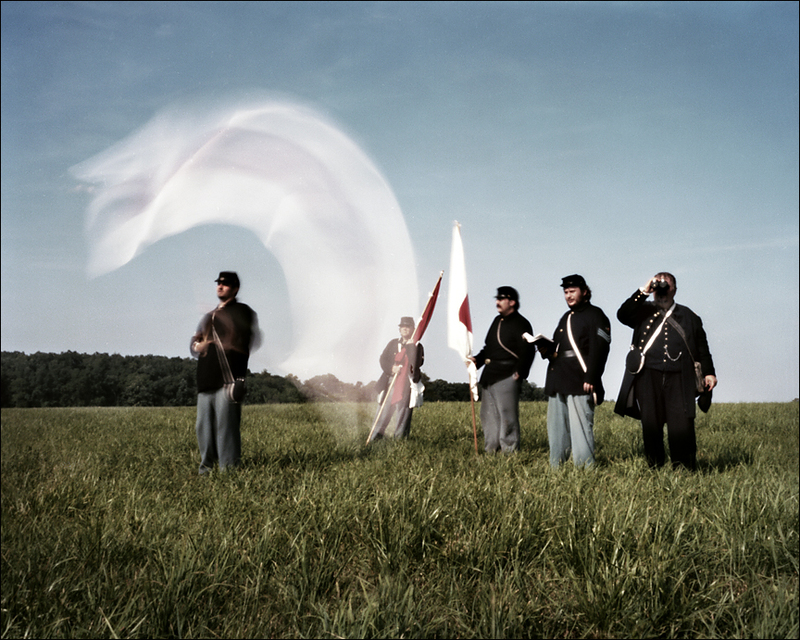 Also included here are images from the 149th Gettysburg battle reenactment held in Gettysburg, Pa. in July 2012. This event was held on a local farm in sweltering heat, well over 100 degrees in the shade, and despite this, yielded a number of compelling images. This Gettysburg reenactment also served to get me registered for the 150th anniversary reenactment scheduled in 2013. 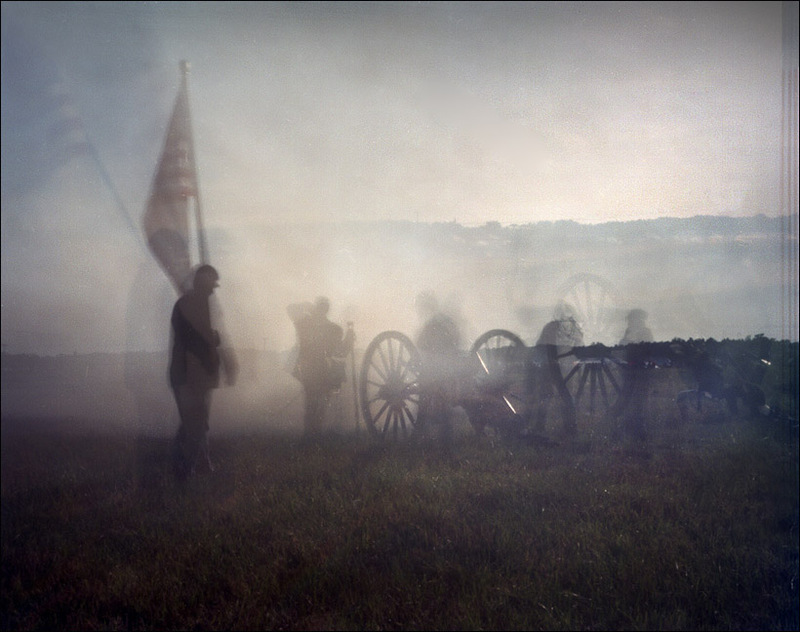 Currently there are two Gettysburg 150th anniversary reenactments being planned for June and July of 2013. Attendance for these seminal anniversary reenactments at Gettysburg is expected to be record-breaking. One event has limited the re-enactor registration to 15,000. That’s a lot of gun smoke. I am registered for both these reenactments in 2013. 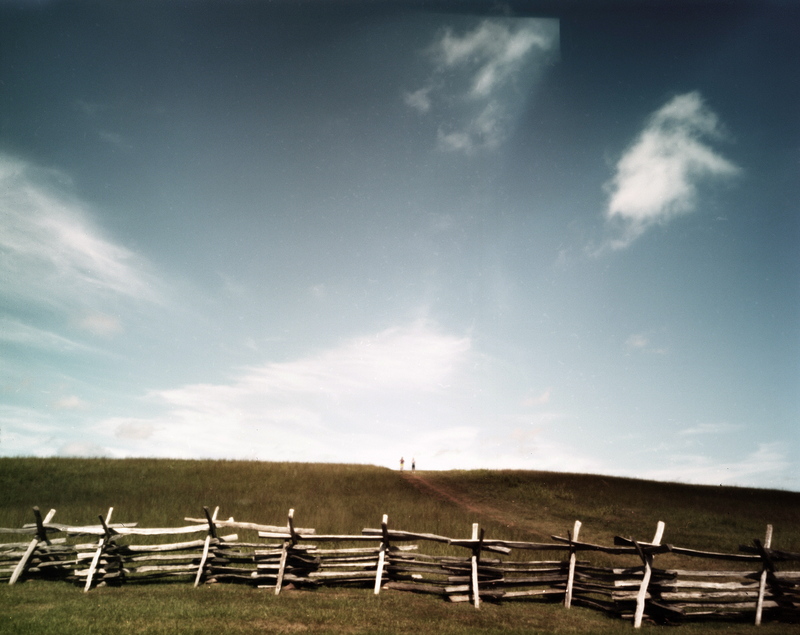 Union Troops attacked across Matthews Hill as it sloped down toward toward Confederate positions during the Second Battle of Manassas. 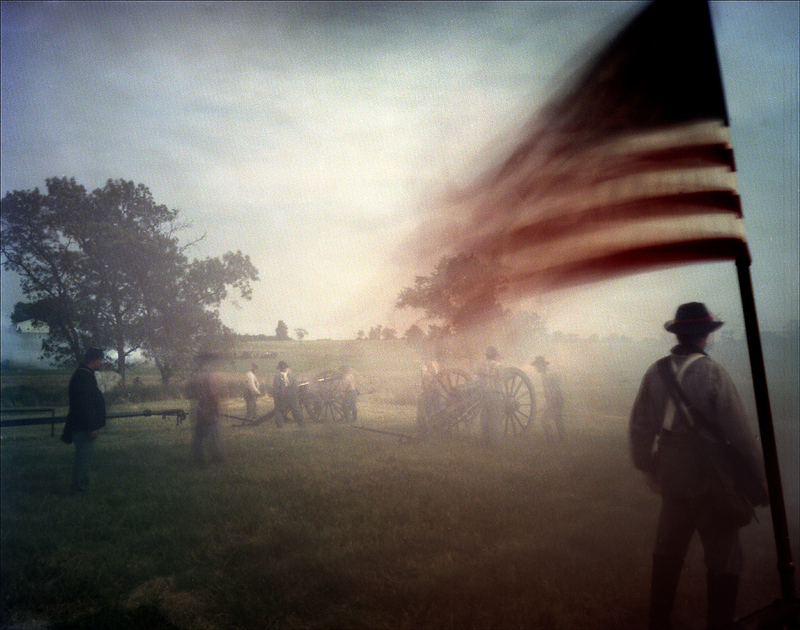 Following the timeline of the War, my next trip for the project would bring me to the site of the bloodiest day in American history, Sharpsburg, Maryland and the Battle of Antietam.